Riding in a Volkswagen Beetle it is a bit like getting measles, being beaten up under the bleachers, or having a small pox vaccine scar -- you know, one of those terrible American traditions that has slowly disappeared, only to be remembered by old folks. 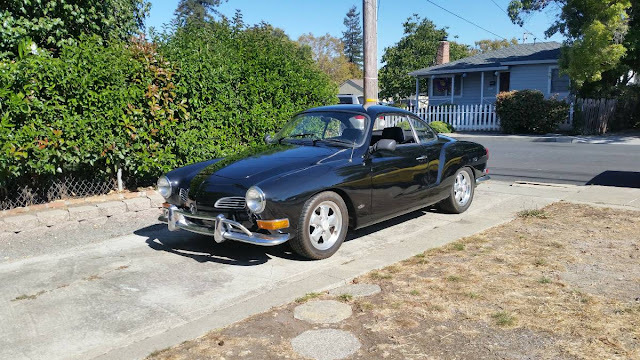 However, if you want that Beetle smell without the frumpy Beetle looks -- you could get the sporty version called the Karmann Ghia that was much cooler looking...albeit slower. Find this 1970 Volkswagen Karmann Ghia offered for $5,500 in San Carlos, CA via craigslist. The 2+2 coupe had sporty bodywork designed by Carrozzeria Ghia SpA and built by karosseriebauer Karmann GmbH mounted on a Beetle pan. Power comes courtesy of a 1.6 liter flat-4 that pushes out 58 horsepower into a 4-speed manual gearbox. If the "new paint" was properly applied, this could be a decent classic to tool around town. Frankly, if you want a Porsche 356 without the stigma of high cost, here is your answer. I didn't like these back in the day, but now I find them quite attractive. I would happily drive one. Why did they insist on putting California so darned far from me? Had several. Sold my last 2 almost 2 years ago, as a package. One was not running. Got as much for the non runner as this guy is selling his for. So sounds like a decent deal. Salvage title would be my only concern, for safety and resale. 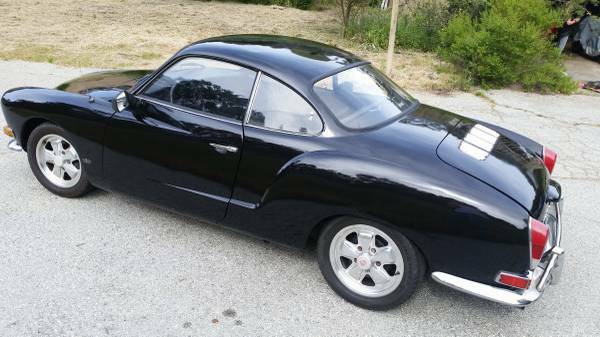 Agree w/Bobinott on a poor man's 356. It's also less snobby/more friendly. And people won't think it's a kit car! Warning...some things cannot be unseen. Should have come with a stronger warning, Huns. I am going to use that as my wallpaper to get a laugh throughout the day. I just chula'd all over my vista. All VWs from the air-cooled era, well into the water pumper era use the same spline arrangement for window cranks. I had '87 GTI window cranks on my '70 VW bus in the late 90s. Seriously, window cranks are basically free, much less than a vise grip for sure.